Irene Kelly was brought up in poverty and abused by her mammy from an early age. But home life was still better than the time she spent in one of Dublin's industrial orphanages. In that harsh regime she was beaten and sexually assaulted. Set to work in the nursery, she saw the nuns treat the babies with horrifying cruelty. As an adult those experiences haunted Irene. 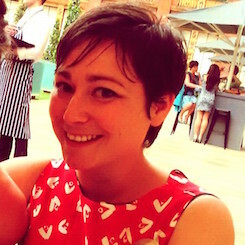 When she fell in love with Matt, who was fighting his own demons, they moved to England for a new start. They wanted their daughter Jennifer to have a better life, but in trying to protect her by hiding their past they only succeeded in pushing her away. Until, one day, Irene had a phone call from Ireland that changed everything . . . Sins of the Mother is a powerful and inspiring story of a family whose love was tested but never broken, who finally found the strength to heal the past. "This original and powerful memoir... This is an epic and stirring story which shows that it is possible to overcome the worst start in life. A beautiful, heartbreaking love story that will have you reaching for the hankies." Film rights to Sins of the Mother, written with Irene, Matt and Jennifer Kelly, have been sold to Unstoppable Urges Productions .Canadian-based producer Kelli Keiley optioned the film rights to the book, published by Macmillan in August 2015, after she was moved by the Kelly family’s heartbreaking story of a family coming to terms with mum Irene’s abusive past in Ireland. Sins of the Mother by Irene Kelly and Katy Weitz remains a top ten Sunday Times bestseller. Congratulations to Katy Weitz and Irene Kelly whose Sins of the Mothers remains at no.7 in the Sunday Times paperback non-fiction chart. Congratulations to Irene Kelly and Katy Weitz whose Sins of the Mother remains in the Sunday Times bestseller list - this week at no 5. Irene Kelly’s Sins of the Mother is now a No. 1 Sunday Times Bestseller. 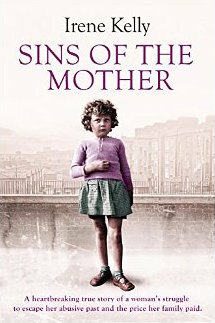 Irene Kelly’s Sins of the Mother has been selected as a Sunday Mirror Book Choice. "This original and powerful memoir… This is an epic and stirring story which shows that it is possible to overcome the worst start in life. A beautiful, heartbreaking love story that will have you reaching for the hankies."